The tenth issue of Into the Ruins is now available for order! 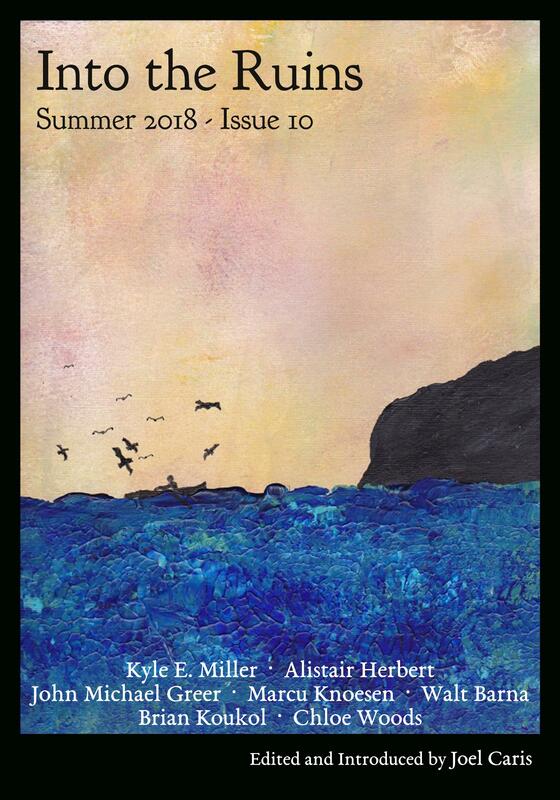 This Summer 2018 issue comes as a 7″ x 10″ book packed with 108 pages of stories of our deindustrial future, an Editor’s Introduction, another fun letters to the editor section, and a guest essay. You can purchase print copies in our store or from Amazon, a digital edition via Payhip, or you can subscribe. If you’re new to Into the Ruins, jump to our home page to learn more. This new issue of Into the Ruins brings with it surprises, new adventures, and at least one familiar landscape—all brought to us by writers old and new. Alistair Herbert returns one more time to the world of “The Change Year” and “Archive” to bring his triptych of the future to a close. Brian Koukol weaves us a delightful tale of the future in which the old world is brought back to life in a surprising way. Chloe Woods takes us to a light house at the edge of the sea and the dangerous visitors who come knocking, while Kyle E. Miller shows us a locked and frozen land of winter. 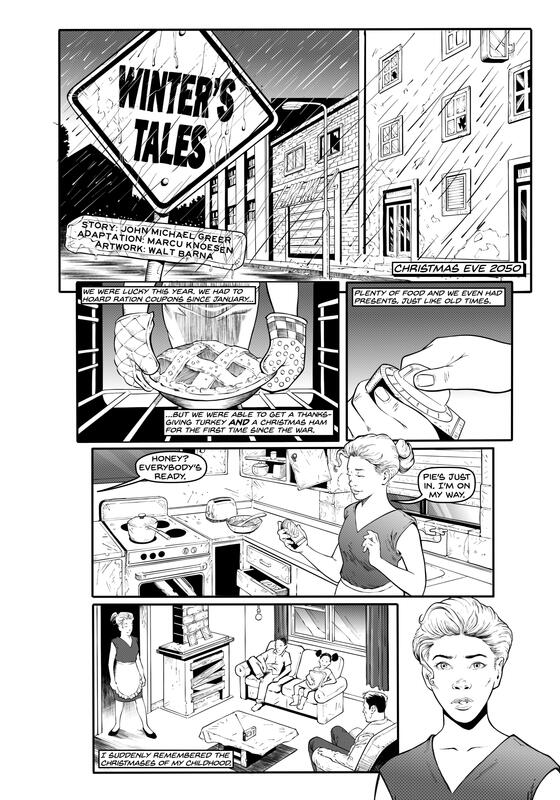 Finally, in an exciting first for this magazine, John Michael Greer’s stellar deindustrial science fiction story, “Winter’s Tales,” is brought to vivid, visual life in comic form by Marcu Knoesen and Walt Barna.